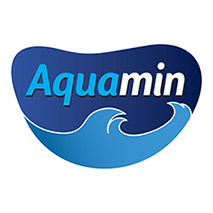 Aquamin is a natural, multimineral ingredient with its own unique story. A seaweed-derived mineral source, Aquamin is rich in calcium, magnesium and 74 other trace minerals including zinc, iron and selenium. 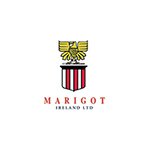 It is produced from the red algae, Lithothamnion species, which is found in just three locations in the world, including the south-west coast of Ireland and Iceland. During its growth phase, these algae absorb essential minerals from the sea – this gives Aquamin its unique multimineral content. The algae then break down naturally and settle on the sea bed. These calcified skeletal remains are harvested, washed, dried and milled into four forms for different food and drink applications. Nothing else is added to the ingredient. As only the mature/aged material is harvested – not the live young plant – sustainability is assured. The plant regenerates itself continuously, so there is no interference with its renewal process. Unlike other products on the market, Aquamin offers a range of minerals from a single natural source. This makes it highly bioavailable – in other words the body easily absorbs the nutrients. These minerals work in synergy, so the overall health benefits are enhanced. And, importantly, the addition of Aquamin causes minimal disruption to manufacturing processes. improves bone and joint health.